Get storage materials from Palmers Storage to store securely either at home or at our storage facility. While we recommend professional storage solutions, there is also an argument for small scale home storage that allows convenient accessibility to your goods and low prices. Here at Palmers we provide wide range of boxes and storage accessories that can turn your spare room into a well organised storage area that is cheap and effective. Using storage materials to wrap and protect precious items is paramount if you want to ensure that your things are safe. Proper wrapping and protection can save you from pests, mould and water damage to your things. When you are looking to store in the home remember that you need to protect your thing or constantly check on them to make sure they are being properly protected. Avoid the ‘Horder’ approach to home storage and make sure to take a few steps to ensure a clutter-free, well organised library for your belongings. If you are looking to store furniture its important that you take the proper precautions. When you need to store furniture including antiques, it is important that you protect them from any damage that could occur and ruin the furniture for later use. First you need to make sure you clean your furniture. Things such as couches and beds are especially susceptible to mold, dust and deterioration. Once you have cleaned your furniture, make sure it is dry before putting it into storage. This insures that the fabrics don't fade and woods don't dry out. Not only with disassembling furniture save you space but its also important for proper protection of your furniture. Wood especially need to be disassembled to properly protect it from drying out. Take draws out and use them to store things, to save space but also to help protect the draws. Its also a good idea to wax wooden furniture to avoid the wood drying out. Once your furniture is clean and dry you then need to make sure it is protected whist in storage. 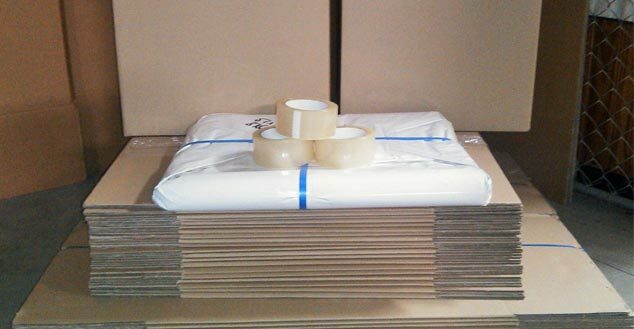 Use storage materials like mattress protectors, plastic sheeting, lounge protectors, bubble rap and cloth wrapping. Wrap your wooden furniture in cloths first then with plastic. Plastic sheeting can help protect your furniture from wood-burrowing insects and rodents. Store electronics in their original boxes and bubble wrap cords to protect them from damage. Keep electronic items off the floor to protect from any potential water damage. Also consider adding extra bubble wrap around your electronics for extra protection. As with electronics, it is important to store anything you absolutely don't want to get damaged off the floor. This is more as a safety precaution (our facility has never flooded) and especially necessary if you are storing at home. This protects everything off the floor from damp conditions and flooding. Our Palmers self-storage units and containers are temperature controlled, but if you choose to store at home you will need to make sure your things are extra protected from moisture damage. Create a moisture barrier, lay plastic sheeting on the floor and use extra blankets to protect from mould, moisture damage and water stains. Home Storage Or Storage Facility? Which one is a better storage option for you? Both home storage and storing at a storage facility have their merits. When you store with Palmers you don't have to worry about a thing, our storage units and containers are fully climate controlled to keep your things it perfect condition. It also helps clear the clutter from your home and is extremely useful if you don't have the room for home storage. If you do have the room, then home storage will obviously be much cheaper, but you will need to properly sort out your storage space to protect your things from water damage and pests, using the steps above to make your space air tight. Avoiding moisture damage is the top priority when you are storing you things which is why we always recommend that if you are storing at home, lay down plastic sheeting and use extra blankets and plastic to make sure you full protect your furniture is a non temperature controlled room. Palmers is able to offer a premium service for people looking to store their items. 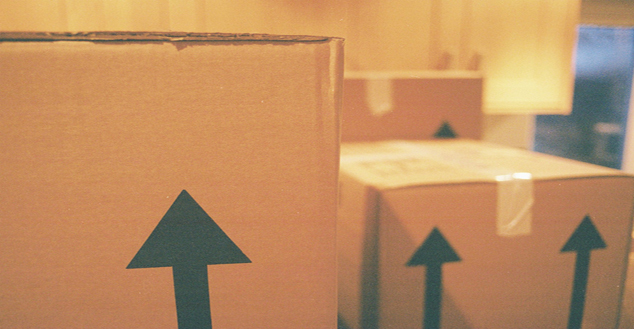 Some of our expert storage and removals staff can some to your home to help with packing for storage. We deliver storage materials, but also help make sure that everything you own is fully protected. We have years of experience in the industry and know the dangers of not properly protecting your furniture and electronic appliances. This service also gives you the piece of mind knowing that your things are fully protected from any damage while in storage. Depending on the storage option you choose, we can also pack your storage pod, container or move your things to our storage facility and make sure everything is packed there properly. If you have some extra space you want to utilize for organisation and de-cluttering, call us today on 02 9742 6662 to talk to an expert member of our team about portable storage solutions that are perfect for your home or business.